« Freebie Friday “Spider-Men” Edition: Win a Free Redbox Gift Card! Redbox has noticed this trend, and is jumping in with RedRocks, its new CD rental service. 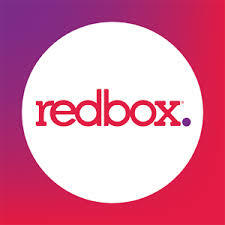 Check out the full press release from Redbox after the jump. Oakbrook Terrace, Ill. – Redbox®, America’s destination for new-release movies and games, announced today it will begin offering new release and classic music albums on compact disc at select kiosk locations around the country. The CD catalog offering will be called RedRocks, and the discs can be rented at the same kiosks from which Redbox customers currently obtain movies and video games. Priced at just $.99 per day, RedRocks CD rentals offer music fans the opportunity to enjoy the latest new releases from Lady Gaga, Post Malone, Taylor Swift, Ariana Grande, and other current hitmakers. The RedRocks catalog will also feature classic albums from legendary artists such as Queen, The Eagles, Marvin Gaye, Fleetwood Mac, Madonna, and The Who. RedRocks titles will be vended in the same robust plastic cases Redbox currently uses for movie and video game rentals, and can be reserved online for future pickup just like all other Redbox media titles. Customers who enjoy their RedRocks rental also have the option to purchase the CD for just $9.99. RedRocks CD rentals are currently being offered in the Chicagoland, Las Vegas, Salt Lake City, and St. Louis markets. The service will be further expanded in the coming months. What do you think about this retro-move by Redbox, Insiders? Will this idea fly or fail? Let us know in the comments! Did you fall for our annual April Fools Day joke? While they’re at it they should offer 45 records as well. They missed the boat… NO wax cylinders! I have a feeling this is an April fools joke. But I would be down for this to happen… if it’s true. What? No 8 track tapes? Boo! I’m waiting for Reel to Reels to come out. Me too! I still have my Vanguard!